A Modification of a victorian staircase in Greyswood, Surrey. 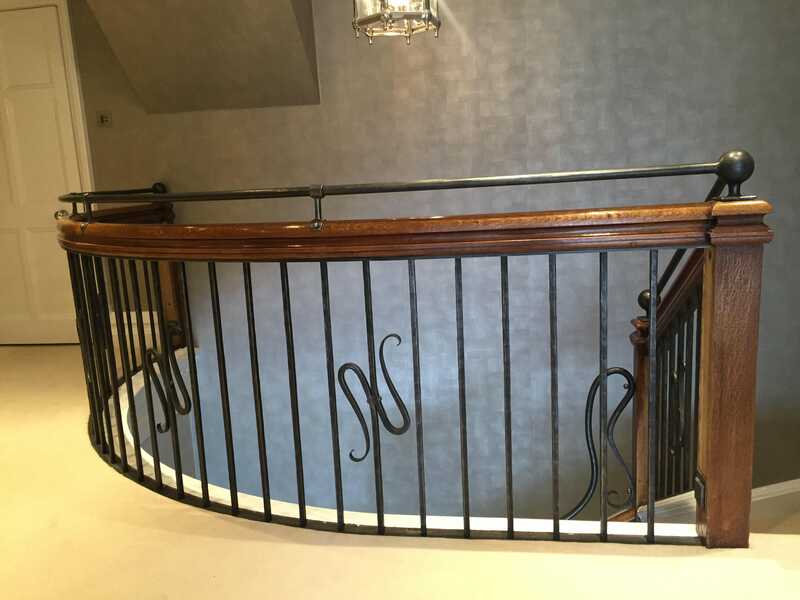 The existing wooden infill was removed and replaced by textured uprights and decorative components with an extended mild steel handrail bringing the staircase in compliance with modern regulations. Hand forged in Mild Steel by Andy Quirk and Graham Hart.